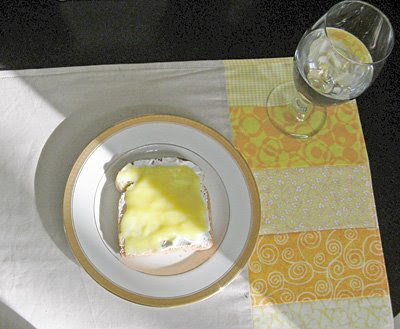 Toast with homemade lemon curd and mock Devonshire cream. I do love having time to eat something a little more leisurely while on break. Beautiful shot. I want to eat brekkies with you! Please share more recipes. Your food looks great!